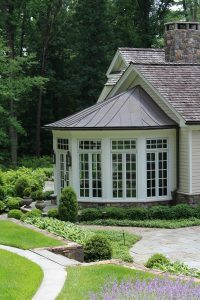 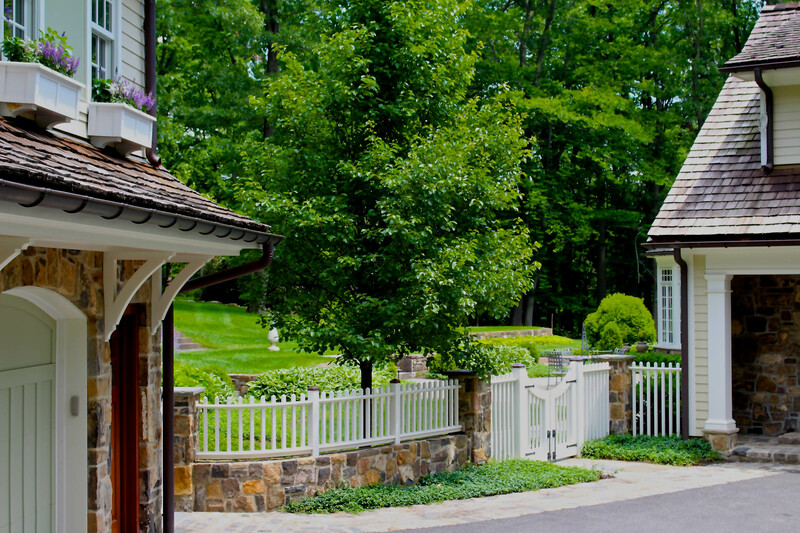 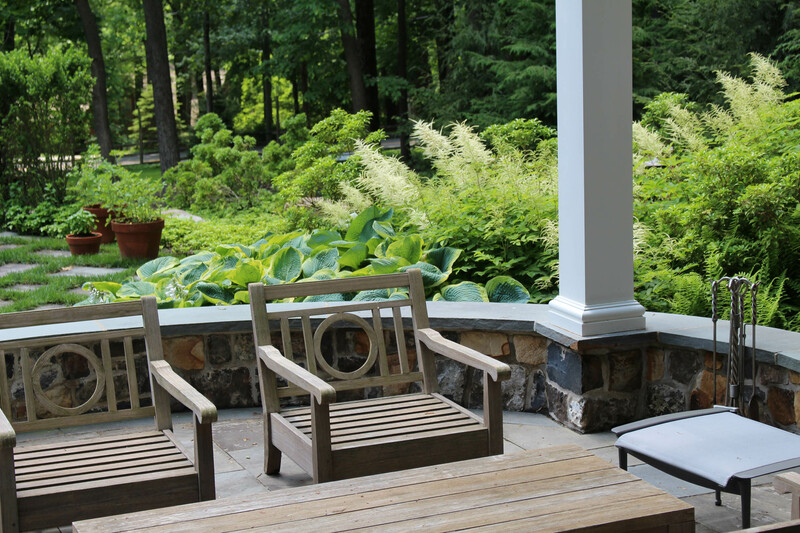 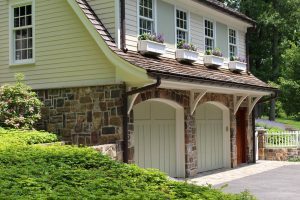 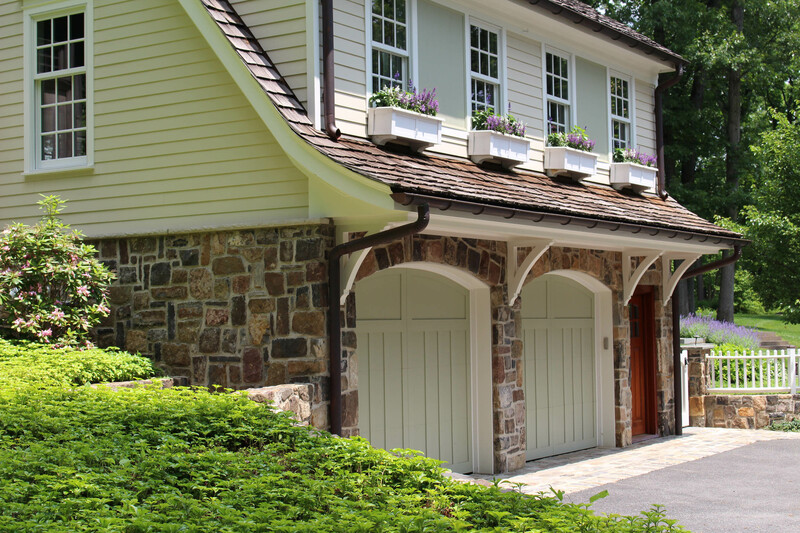 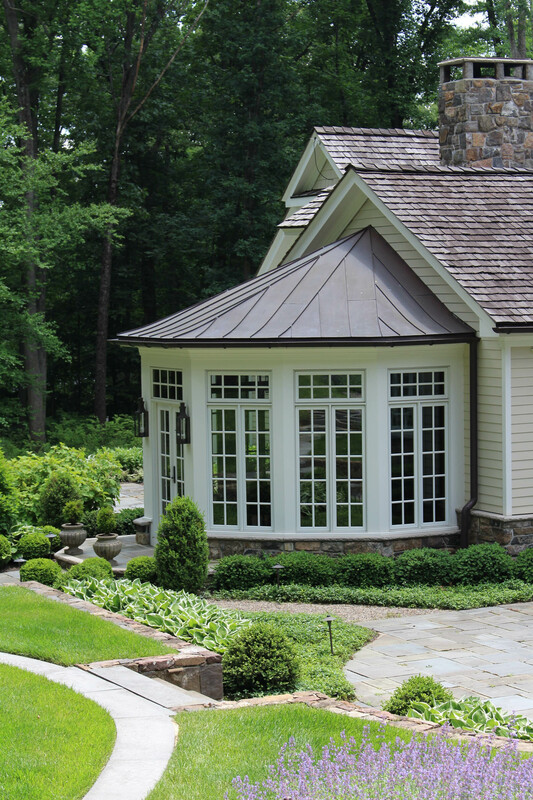 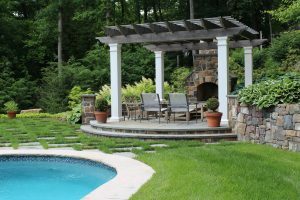 A Casual Country Home - Deborah Cerbone Associates, Inc.
Our clients wanted a new outdoor living space associated with their new pool house and garage as well as new plantings for the entire property. 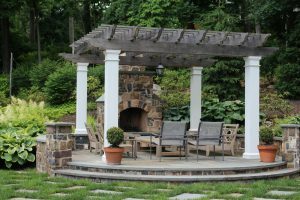 A circular raised patio area was developed with a stone fireplace and pergola for poolside enjoyment. 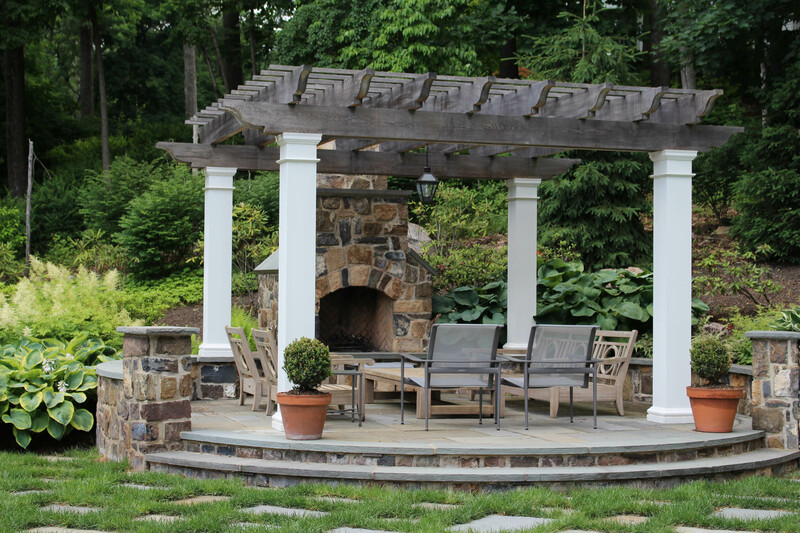 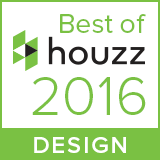 Here our clients host parties year-round. 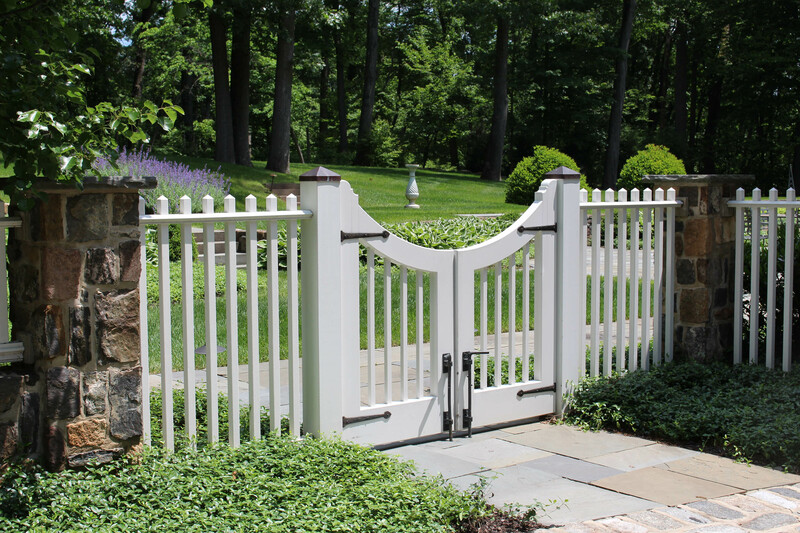 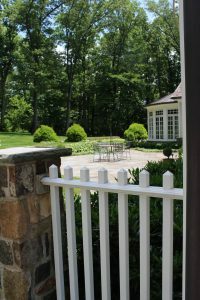 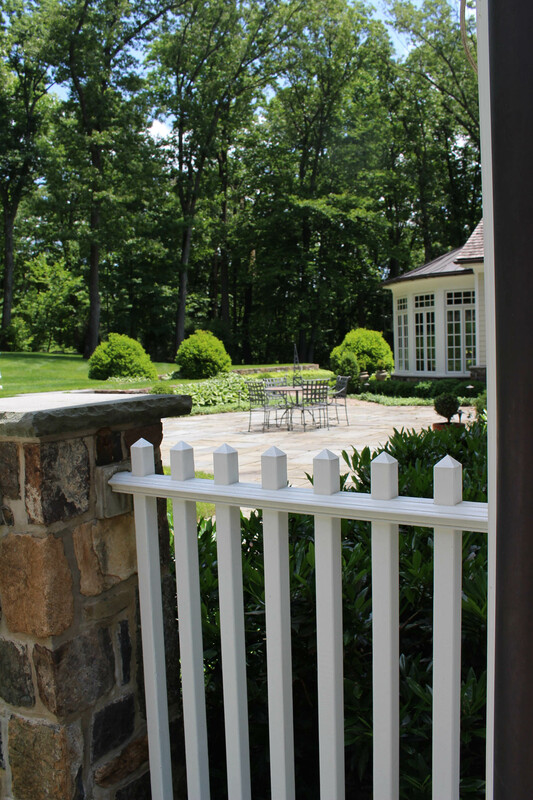 We detailed a fence transition to the pool area combining white wood pickets with stone walls with piers and a stairway leading up to the pool level. 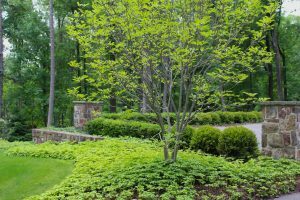 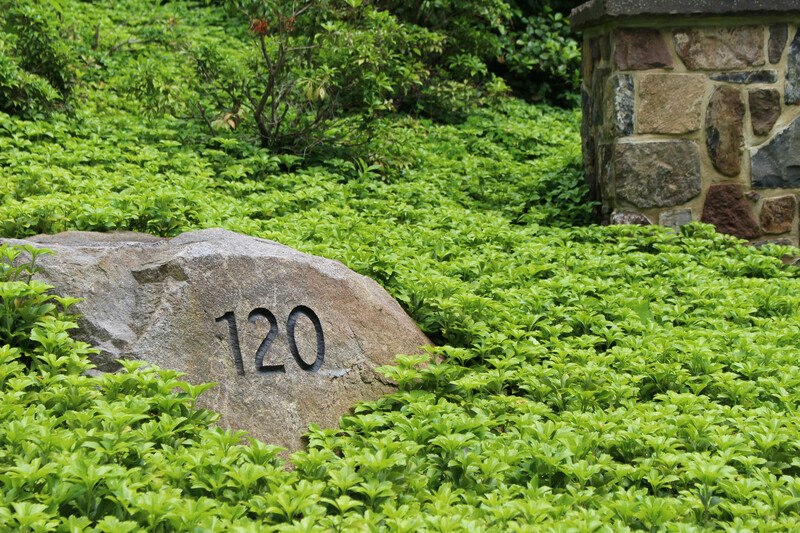 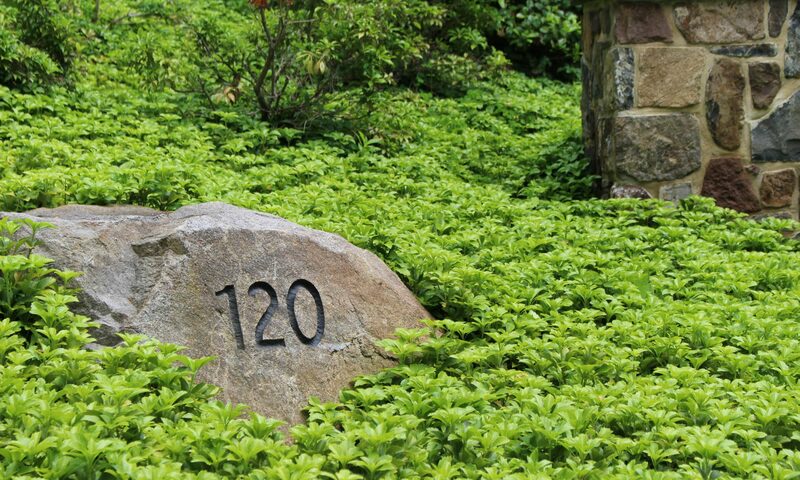 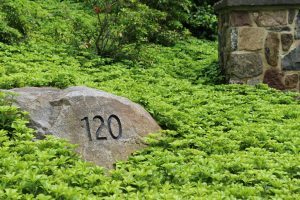 The new planting scheme features a subtle blending of white, lavender and yellow blooms contrasted by the year round emerald of the evergreens and groundcovers. Containers of boxwood and colorful annuals provide accents that pull our vision together and provide a burst of color throughout the seasons.